Life is a series of ups and downs. For some, it’s not an even balance, but we keep the faith and find a way to move forward. This is the story of Naileen Colon. Naileen faces many struggles, but she has faith in the guidance of her angels. Naileen grew up in Ponce, on the southern coast of Puerto Rico. At the age of nine, she was diagnosed with megaloblastic anemia, a condition in which the bone marrow fails to produce mature red blood cells. She maintained a healthy lifestyle to treat it. She lived a pretty normal, happy life for the next 15 years. She got married, had a baby and kept moving forward. Unfortunately, in 2013, Naileen began to feel very weak. She was always tired and she was struggling with depression. After visiting her doctor, she was diagnosed with Chronic Lymphocytic Leukemia (CLL), a cancer of the blood and bone marrow. Unfortunately, it was barely more than a year when she had her first relapse. This began a downward spiral for Naileen. She had to resign from her job, her husband left, and she moved back into her mother’s house with her son. Moving back home was a very difficult transition. Her son Onix is autistic, and requires a lot of attention. In addition, her mom was ill and constantly in and out of the hospital. Naileen struggled to find a balance between taking care of her son, her mother, and herself. She held onto her faith and remained confident that God would not leave her side. She was being guided by angels. In 2015, it was determined that her blood transfusions were not working as planned. Her cells were not reproducing. Naileen was advised that she would need a bone marrow transplant. At this time, Naileen talks about meeting an ‘angel’, Elba Lebron. Elba is a community engagement representative from the Icla da Silva Foundation. Elba organizes donor drives and works closely with patients throughout Puerto Rico who are in search of a life saving bone marrow donation. Elba provided the support that Naileen needed to continue moving forward. With Elba’s help, they hosted numerous marrow drives in Puerto Rico. Naileen felt better about her diagnosis. She realized that she wasn’t alone. In raising awareness during the donor drives, she gained more hope. She focused on helping others. Even if she could not find a match for herself, she may be able to help others to find a match. That feeling gave her satisfaction. Her friendship with Elba was a major turning point in Naileen’s journey. Naileen enjoys watching movies at home with Onix and Jerardo. She loves the beach, but because of her diagnosis and the risk of infection, she can’t visit as often as she would like. She loves being a mom, taking care of Onix and watching him progress in his everyday interactions with people. Watching him play makes her happy. Naileen has managed her challenges and is happy with her accomplishments so far, especially with her son, but she wants to do so much more. She understands that the ups and downs will continue, and although there are times when she questions what will happen next, Naileen knows that God’s plan is far more than what she can imagine. She puts all of her trust in him, and the guidance of her angels. Naileen is in desperate need of a bone marrow transplant. The doctors have been searching the national registry for a matching donor for 3 years. Finding a matching bone marrow donor is not an easy feat, especially for patients with Hispanic or Latino heritage. There is currently no match for Naileen on the Be The Match bone marrow registry. The registry is the largest and most diverse in the world, but patients of Hispanic origin only have a 46% chance of finding a potential match. The solution to this challenge is to get more people, especially those with diverse ethnic origins, to join the bone marrow registry. You can join online in less than 10 minutes, and agree to become a potential donor for patients like Naileen. Please join the registry, for Naileen or the 14,000 other patients who are searching for their match. Thank you for reading Naileen’s story. We hope that her angels will help us guide more potential life-savers to join the bone marrow registry. It can start with you. Black History Month has arrived once again. February 2018 is a perfect time for meaningful reflection on the highs and lows of the past; being reminded of lessons learned and lost opportunities. Hats off to our tenacious ancestors who set the tone for future generations, paving the way for change and healing in an often volatile environment. We may not all be movers and shakers in this world, but each day presents us with subtle choices. Taken seriously, these small windows of opportunity may change the world for just one other person. What legacy are you building for coming generations to follow? We think changing the world for one other person at a time is the most effective method because a whole lot of little contributions make up a lifetime of stunning declarations. We encourage each and every person to join the movement for a better future – especially African Americans and minorities. Shockingly, the African American donor pool makes up only 5-7% of the worldwide registry, which effectively results in only a 66% probability of finding a perfect bone marrow match for members of this community. This is comparable to a 97% chance of finding a match from the white donor population. Although blood cancers are the most commonly mentioned condition for a bone marrow transplant, there are a myriad of other illnesses, too. Sickle cell disease also requires a bone marrow transplant for any chance of recovery andis more prevalent in the African American population. The diversity of this ethnic group’s genetic and familial history, however, presents a massive challenge in building a fully representative donor pool. To put it bluntly, we need more donors. 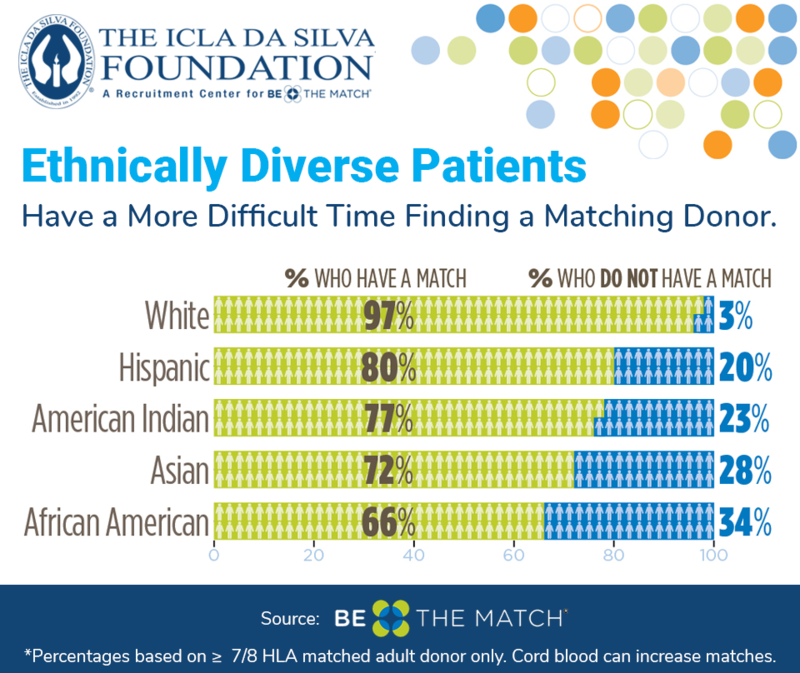 The more diverse the pool of potential donors, the greater the possibility for everyone who needs it to receive a life-saving bone marrow transplant from a perfect donor match. This is true for any population, but especially for members of minorities and mixed heritage. In this month of remembrance and celebration, take ten minutes to register as a bone marrow donor. It is quick, painless and potentially life-changing. You can register online, or at one of the many bone marrow drives around the country. Hopefully you will even earn the privilege of being called upon to donate as you help to build a better world. Be proud of your heritageand stand firm as an advocate for healing and renewal. 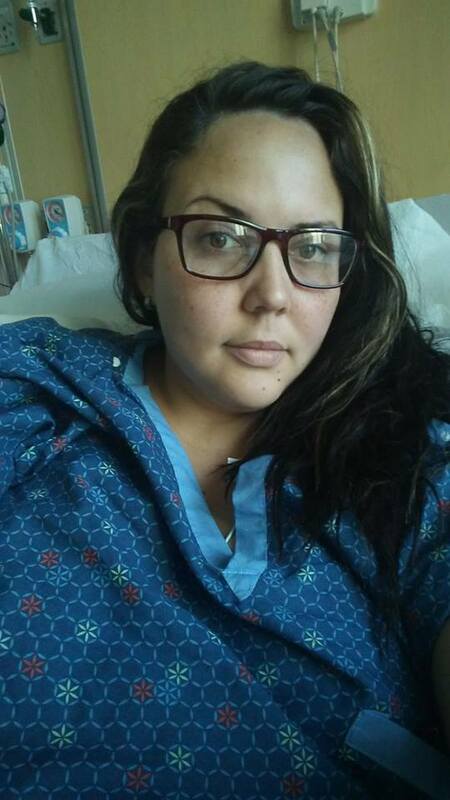 Tiffany Davis is a 31 year old woman from Miami Florida. She is smart, beautiful and strong. She is battling cancer for the second time in her life and she refuses to let it beat her. Tiffany is a Warrior. At the age of 28, Tiffany found a small lump under her left arm. She had a family history with breast cancer, her grandmother died from it, but it was never really talked about. She noticed the lump during a self examination and was diagnosed in 2014. It was detected in early stage 2, and was diagnosed as an aggressive form of cancer, described as triple negative. She had chemo, a bilateral mastectomy, otherwise known as a preventive mastectomy, followed by radiation treatments. Since her cancer was ER+ (estrogen receptor positive), she was also put on hormonal therapy. 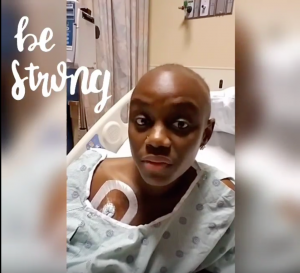 Tiffany is strong and she survived her first battle, but after two years as a survivor, during a routine check-up, her labs came back with abnormal red blood cells and a low platelet count. The oncologist sent her to a hematologist for more tests. After a series of labs and a bone marrow biopsy, it was confirmed on July 31, 2017 that Tiffany had acute myeloid leukemia. This diagnosis was the result of receiving both chemo and radiation for her breast cancer. Tiffany’s best chance of survival is to receive a matching bone marrow transplant. Tiffany remains strong. She is positive and faithful and she will not give up. She insists that the first cancer changed her. She has become more outspoken, and believes it is important to share her journey and bring more awareness to it. She believes in her strength. At 31 years of age, Tiffany is undergoing chemotherapy again. She has completed phase 1, induction chemo, which consists of 24 hour/day chemo treatment for 7 days. The process clears the bone marrow of leukemia cells, but dramatically affects the immune system and requires a 28 day stay in the hospital. Phase 2 is the consolidation process, where they try to keep you in remission, through continued chemotherapy, until a matching donor can be found. Finding a matching donor is Tiffany’s next battle. African Americans have a high propensity to be diagnosed with cancer. About 1 in 2 black men, and 1 in 3 black women will be diagnosed with cancer in their lifetime. Many of these cancers can be cured with a bone marrow transplant. Since African Americans have a greater genetic diversity than other populations around the world, this diversity can make finding a perfect match more difficult. This is further impacted by the fact that the African American community is simply underrepresented in the national bone marrow registry. We encourage you to join the registry and stay committed to helping save the life of a patient in need. You could be the life saving difference. Please register using the TiffStrong referral code at Be The Match. We stand strong with Tiffany and will do everything that we can to help her survive this next battle. You could be a life-saving match for a patient in need of a bone marrow transplant. Joining the Be the Match Registry is the first step to become a marrow donor. See our infographic below to learn about how you can sign up to becoming a bone marrow donor and the steps of the donation process. Click here to join the Be the Match Registry. Click here to learn more about becoming a bone marrow donor. Spread the word, we’d love if you Shared! The screen shows a sunny day in Austin, Texas, with its classic blue skies and a light breeze rustling through emerald leaves. A bubbly, warm personality with a sassy grin is bouncing through a back garden, climbing trees, playing silly games and laughing at it all. As she waltzes through life with a carefree smile under her beautiful curls, Caroline Renee Dill exudes the unquenchable energy of the healthy child into which she has blossomed. It was a rough start for this smiling girl and her family, but Caroline has completed her arduous journey to full health with flying colors. In 2005, at three months old, Caroline came down with a dangerous fever and was rushed to the emergency room. She was eventually diagnosed with chronic neutropenia (SCN), a rare blood disorder. It is characterised by low neutrophils (white blood cells), which are essential for the body to fight off bacterial infection. SCN usually presents with fevers, sores and inflammation in the mouth and a strong susceptibility to recurrent infections. Learn more about SCN here. Consequently, Caroline has received a shot of neupogen, a white blood cell booster, every day of her life since she was just three months old. At five years old, doctors discovered her white blood cells were starting to deform. They recommended the family prepare for a bone marrow transplant once a suitable match could be found. Happily, Caroline was one of the lucky few for whom a perfect bone marrow match was quickly located; and the procedure went ahead in the summer of 2010. John and Teresa Dill, Caroline’s committed and loving parents, have walked beside their brave daughter along this difficult road, too. Working around their jobs, other children and daily commitments, they have been her rock and kept her spirits high on the dark days. Her parents even tag-teamed each other to juggle work and family during Caroline’s long hospital residence in the summer of 2010. For her time in hospital, Caroline received a fixed central line instead of an IV point. The central line housed three ports, which allowed her to absorb multiple medications concurrently. This also alleviated the need to have needles poked into her hands before every treatment. She also received her chemotherapy through this port, as well as the bone marrow transplant itself. After a successful bone marrow transplant, Caroline required extended time in a sterile environment. She spent sixty days in quarantine during the recovery period to ensure her body had the best possible chance of accepting the transplant. It was critical to keep her away from bacterial or viral infection sources while her immune system was at its lowest levels. Day 8 post-transplant, Caroline awoke with a high fever, elevated heart rate and trouble breathing. After several tests, they discovered aspergillosis in her lungs, a serious condition at the best of times. She stopped breathing and was treated with slow-release medication into her weakened little body. Three days and a host of prayers later the fever broke. Caroline started back on the road to recovery, much to the relief of her extensive support team. Seven years down the line, she is now leading a normal, healthy life. Caroline had the privilege of meeting her bone marrow donor, Eduardo Dombrowski, at an Icla da Silva Foundation event a few years ago. Eduardo is a Brazilian from Florida, now living in San Francisco, and one of the generous donors listed on the Bone Marrow Registry. He took the small step of registering, went through the painless testing process and didn’t hesitate when finally called upon to save a life – Caroline’s life. These are the kind of people the Icla da Silva Foundation love to have as part of the team as we work together to recruit donors for the Be The Match Registry. Want to save a life like Eduardo? Register as a bone marrow donor on the Be The Match Registry today. 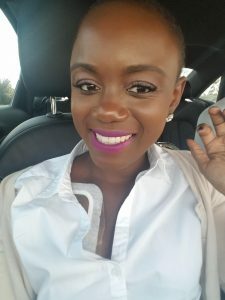 Now she wants to share her story of victory with the world, in hope it will inspire and encourage others who are facing seemingly insurmountable challenges. Clearly, Caroline is a little girl who is adored by many hearts already. She continues to inspire us with her zest for life despite the hardships of illness. We salute you, Caroline! On a cozy street in Queens, the sun is shining through the clouds. It’s a typical day in suburban New York City, as cars pass slowly down the road and neighbors walk their dogs down tight, hilly sidewalks. At the end of the street, at the corner of 145 Place, stands a signpost. Two city workers diligently strap a second sign to the post. The sign reads “Robert C. Lohnes Way.” A young, red-headed woman watches them, smiling. Her husband stands beside her, holding her hand. The Robert C. Lohnes Way sign has hung at 145 Place since 2015, but it was whisked away during a volatile wind storm that hit the sleepy neighborhood last March. The sign was instilled to honor the life of Robert “Bob” Lohnes after he passed away from MDS in 2014. It is an acknowledgement, not only of Bob’s battle with cancer, but of the long and adventurous life he lived. An unmistakably tall and spritely figure, Bob’s bright eyes shone above his signature shapely moustache. Bob’s life was one of service. He left behind a legacy few could hope to achieve. As a younger man he served in the Navy during the Cuban Missile Crisis and then became a New York City Police detective. He was a fingerprint expert called upon by the FBI to support several high-profile forensic cases. He volunteered for the Whitestone Community Volunteer Ambulance Service and was a post 9/11 Rescue Recovery and Identification volunteer. For 30 years he was a Scoutmaster, affectionately called “Uncle Bob” by his Scouts. During his tenure he lead over 50 Scouts to the highest rank, known as the Eagle Scout. It was just before a Scout trip, during a required routine physical, that he learned there was a problem with his blood count. When he returned from the trip, he underwent further tests. Finally, he learned he had Myelodysplastic Syndrome (MDS). MDS is a blood cancer which disrupts the production of blood cells. Doctors told Bob and his family that he would need regular blood transfusions, and that to cure the cancer he would need a bone marrow transplant. 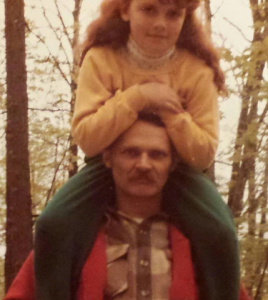 Bob, characteristically, wasn’t fazed, but his daughter, Melissa, wanted to know more. She began to research the disease, their options and organizations who supported patients in Bob’s position. It was then that she learned about The Icla da Silva Foundation. A service-oriented family, Bob and his wife Magaly, along with Melissa and her husband Mike, formed a team, “Bob’s Mustaches” at the Foundation’s annual Matchmaker 5k Run/Walk, held on Roosevelt Island in New York. Things progressed faster than expected. 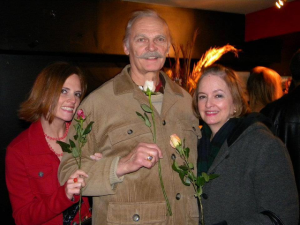 Bob’s brother was tested to see if he was a bone marrow match. Like 70% of all patients who need a bone marrow transplant, he wasn’t able to find a compatible match within his family. In February 2014, he began experimental treatment, but his condition only worsened and he was soon hospitalized. The doctors told him and his family that his kidneys were failing from an infection, as his immune system weakened. Just five days after being hospitalized in March 2014, he passed away. In the face of terrible grief, those who loved Bob wanted to create a remembrance for him. 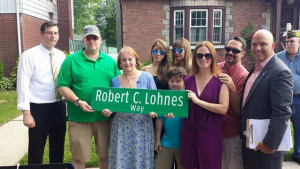 One of his Eagle Scouts, Brian Connolly, petitioned the local town council to have 145 Place co-named “Robert C. Lohnes Way.” Bob had lived on the street for nearly 50 years and raised both his children there. Brian was able to collect signatures from the required 80% of the street’s residents, and at an official naming ceremony, the honorary sign was hung for the first time. For Melissa, community service is a way to remember her father’s life and honor his passion for helping others. The Lohnes family has run in every Matchmaker 5k Run/Walk since Bob’s passing, and Melissa has consistently come in 1st place as Individual Fundraiser. Bob’s Mustaches has been the Top Fundraising Team for four years in a row. The family hosts an annual art benefit, gathering donations from the art world and their own community. The event includes a silent auction and raffle, as well as games and door prizes. Some years they host a bar event with a local establishment that donates half the proceeds from the night to the Matchmaker 5k team. This year, in recognition of their outstanding volunteer activities (for The Icla da Silva Foundation and many other community service works alike), The Disney Company honored Melissa, Mike, and Magaly with the VoluntEAR of the Year award. For Melissa, no award can compete with the knowledge that her father’s memory continues to bring health and happiness to others. The Robert C. Lohnes Way sign at the end of 145 Place is a symbol of their dedication to his legacy. The sign is also a symbol of the love they shared, and the many sunny afternoons Melissa spent, eager to jump into her father’s waiting arms. Asaya Bullock has past a major milestone. He celebrated his 6th birthday, despite the fact that he was diagnosed with I-PEX Syndrome at 8 months old and his parents were told that he would not live past the age of 2. I-PEX (immune dysregulation, polyendocrinopathy, enteropathy, X-linked syndrome) is a rare genetic blood disorder that causes multiple autoimmune disorders. This little boy has been fighting for his life for 6 years. There is a cure, a bone marrow transplant, and it is relatively simple. A PBSC bone marrow transplant requires a donor to take injections of filgrastimm over the course of 5 days, which increases the number of blood forming cells in your blood stream. On the day of donation, your blood is removed through a needle in one arm, passed into a machine that separates the blood forming cells that your body has produced, and then your blood is returned back into your body through the other arm. The difficult part is finding a matching donor. Most cells in your body contain HLA proteins. In order for a bone marrow transplant to be successful, the HLA proteins of a donor need to match those of a patient. A great deal of matching is determined by genetics and ethnicity. 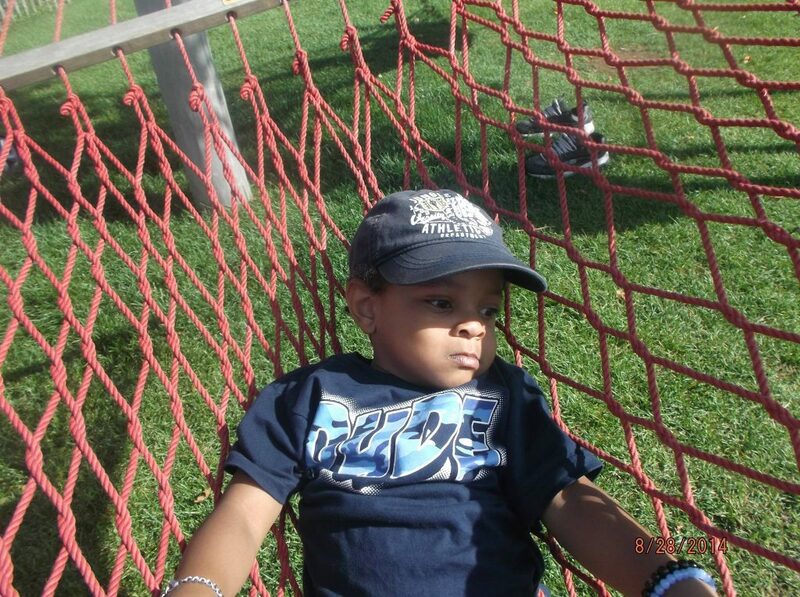 In Asaya’s case, his parents had a second child in an effort to find a match for their son. “As a mother, it is devastating to watch your child suffer and there is nothing that you can do to fix it,” say Charline Bullock, Asaya’s mother. Asaya’s parents, Charline and Vincent had a beautiful baby gir named Anaya. Asaya received his sisters cord blood, but despite being a 7 point match out of 10, his body rejected her cells. Asaya suffers from serious memory loss, body aches, stomach issues, and joint pain. “It basically hurts everywhere,” says his mom. Obviously, Asaya is a fighter, living twice as long as expected by his doctors. Life is a series of ups and downs, and the same is true for the Bullock family. The birth of a beautiful baby sister, and the rejection of her cord blood. A donation from a registered donor, and another rejection from Asaya’s body. 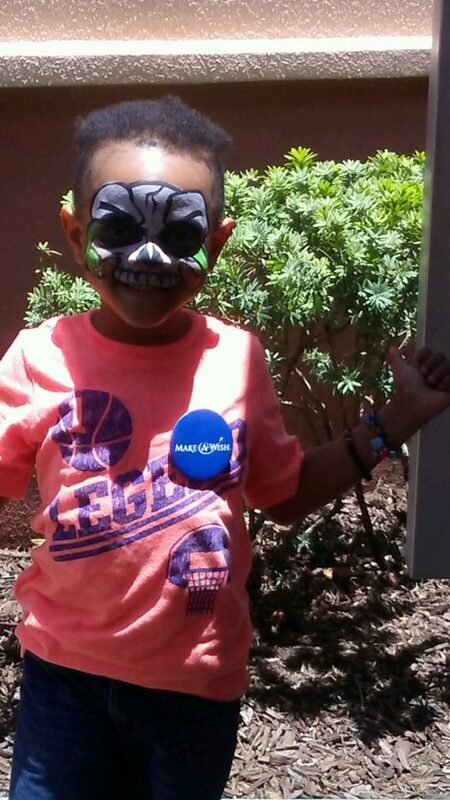 Recently, the Make a Wish Foundation sent the family to Disneyland. You can see the smiles as they met their favorite characters; definitely a well deserved “up” moment for the Bullock family. As you would expect, living with a rare disease and traveling to various specialists across the country for treatment requires financial assistance. 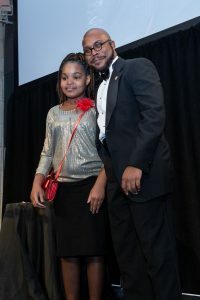 Asaya’s father has instituted his own GoFundMe campaign and even one of the Icla da Silva volunteers, Omari Jinaki, (read his story here) has contributed to raising awareness and funds for Asaya and his family here. Asaya and his family has been searching for a match since he was eight months old. Would you please consider joining the registry in case you are a match for Asaya or someone just like him. You can also help us continue to make a difference in patients lives by making a financial contribution to the Icla da Silva Foundation. Please help us find a bone marrow match for Asaya. The Icla da Silva Foundation hits the jackpot when it comes to selfless volunteers who unite behind the quest we are all passionate about: a second chance at life through a perfect bone marrow donor match. It is not every day, however, one comes across a soul which affects the world as powerfully as this one does. Movers and shakers, volunteers like Omari Jinaki, are the backbone of our organization, without whom the unending workload would quickly overwhelm. Not long afterwards, Omari had moved on to bigger and better things, fueled by the success he drew from Marlon’s robust leadership and continuous encouragement. 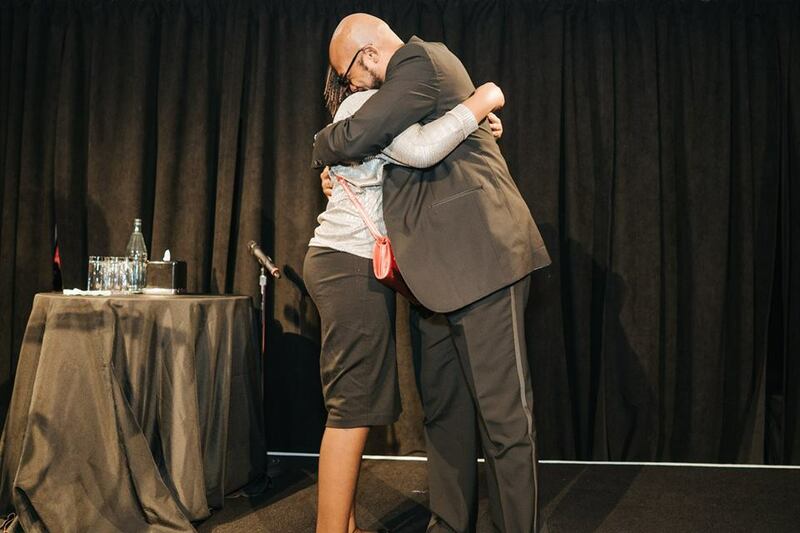 His beloved and awe-inspiring mentor was then unexpectedly diagnosed with a blood cancer only curable through a successful bone marrow transplant. 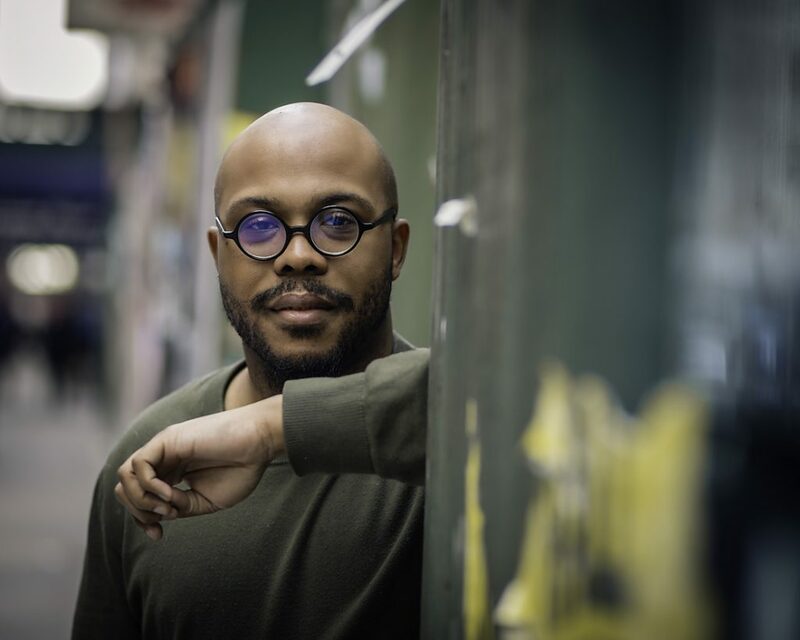 Shocked and uninformed about the implications, Omari began a search for information, determined to come to a full understanding of what his friend and mentor might be facing. In the ensuing weeks and months it became clear something urgent needed to be done. Enquiries led Omari to the realization that Marlon, and others like him, needed dedicated assistance, a lot of prayer and a small dose of luck if a perfect donor match was going to be found on time. Left waiting for something so important seemed inhuman and cruel. Could finding a perfect match be so difficult? It turns out that for minorities, with a limited pool of donors, and society’s preconceived misconceptions about what it takes to be a bone marrow donor, it can be. Not to be deterred, optimist Omari stepped forward and chose action over complacency. He connected with the Icla da Silva Foundation, the largest recruitment center for the Be the Match bone marrow registry in the United States. From that moment forward, he remained dedicated to raising funds, creating public awareness and recruiting potential bone marrow donors. The Icla da Silva Foundation deeply appreciates Omari’s selfless involvement and hard work, aligned with the cause so close to our heart. Sadly, Marlon was unable to find a match on time and succumbed to the disease soon afterwards. Omari and his colleagues embarked on a bold campaign in loving memory of the great man they all admired. The aim of the movement was to spread the word about the prevalence of blood cancers, the need for a greater donor pool and the plight of those with an unknown amount of time left to live a full and wonderful life. Amazingly, the first three years the group was able to raise almost $42,000 and sign up 160 new bone marrow donors to the Be the Match Registry. On 1 July 2014, Omari and his colleagues were part of an awareness-raising showcase on Spectrum News NY1. The inspiring piece highlighted the need for both stateside and international bone marrow donors, clarifying common misconceptions about the bone marrow testing and donation processes. A reassuring demonstration on how simple it was to test as a match drew large public attention. It cleared the path for thousands of potential new donors for bone marrow registries like Be The Match Registry. Even the smallest amount helps us continue our efforts to grow the registry and provides financial assistance to patients in need. Of course, you could also become a volunteer and participate in the heroic efforts displayed by Omari and so many other valued members of this worthy cause. We thank you Omari Jinaki. 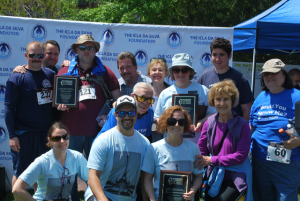 We appreciate your continued support of the Icla da Silva Foundation and recognize your unique enthusiasm for love and life. Elaine Freitas is a photographer who loves to photograph love. Her subjects say that she is patient and calm. Some refer to Elaine as a magician, finding smiles where they didn’t exist before. Elaine and her husband are both Brazilian. They had learned about a bone marrow registration in their hometown of Framingham, Massachusetts and heard the story about a 13 year old Brazilian girl who had had passed away because she could not find a matching donor. That girl was Icla da Silva. They both registered at the Bone Marrow drive. Two years later, in 2004, Elaine received a call that she was a match for a patient in need. As expected, she was frightened, but went to Dana Farber Cancer Institute to be examined and tested. In March of 2005 she donated bone marrow. She still does not know the patient, but she considers her experience the opportunity of a lifetime. Imagine knowing that you were able to assist at giving someone a second chance at life. That is an opportunity that she could not give up on. Elaine insists she would do it all over again at a moments notice. 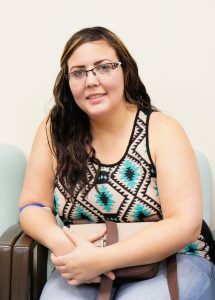 Elaine Freitas hopes that people recognize the wonder of life by registering and ultimately being able to donate you bone marrow to save someone else’s life. She still remembers the story of Icla da Silva and could not imagine what she would do if a family member had leukemia without the chance to have a life again. We honor you Elaine Freitas, you truly are a loving , patient magician. Won’t you please consider joining the registry to give someone else a second chance at life?